In the early 1960's, Dan Whittelsey, Sr., then working for the Exxon Corporation, saw an opportunity to export veneer quality logs out of Central America. This region exported large quantities of "stick wood" - dimensioned lumber - but rarely whole logs. The exotic species Mr. Whittelsey offered were exactly what the Hokusan, a wood products manufacturer in Japan, were looking for. 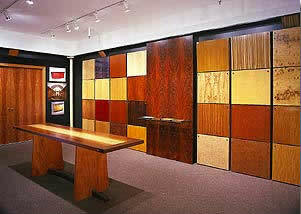 The logs were sent to Japan, and in return, Dan brought "fancy face" plywood and exotic sheet veneer, manufactured by Hokusan, back to the United States. These new products quickly found favor among architects and designers seeking new products and appearances. Their unique features and the selection of previously unrecognized species soon assured the success and subsequent expansion of product varieties, services and facilities. Today, the Whittelsey family continues what Dan began more than 40 years ago. Corporate offices are located in North Miami, Florida along with the 55,000 square foot warehouse. 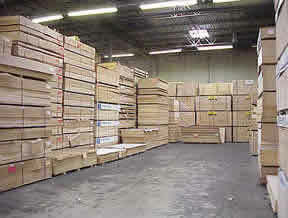 Here you will find an extensive inventory of lumber, veneer and plywood products. A second facility in Fort Meyers, serves the west coast of Florida. Our mission is to attract and create loyal customers by providing them with a positive experience. This positive experience will include timely, efficient, and professional service to compliment our quality products. Our goal is to exceed our customer¹s expectation and perception of company performance by conveying an attitude of service, with a friendly and professional approach, while providing an exceptional product. Our customers, and our client's customers, are increasingly expressing their concerns about the environment and the exploitation of dwindling resources. We share their concern and established our "Environment Friendly" program in 1998. 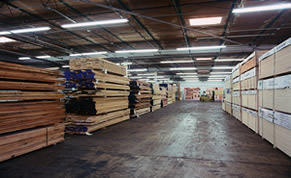 Many of the products we offer are manufactured using logs from sustainable yield forests. Reconstituted panel products are manufactured using species in plentiful supply - trees farmed for wood product production. Our customers are becoming increasingly aware, and expressing greater concern, for the exploitation of disappearing resources. We have shared that concern for some time and established our "Environment Friendly" program in 1998. We not only broadened our sources for sustainable yield species, but also from managed source suppliers. We support responsible harvesting today to assure logs for tomorrow¹s needs. In addition to these practices, Whittlesey now also offers reconstituted panel products manufactured from species grown specifically for wood production on tree farms. The sheet veneer products we sell, such as SanFoot, SanPly and PlyTec, also offer excellent conservation of natural resources. These products were developed for "Maximum yield, minimum waste" log utilization. The proprietary process used to manufacture these products yields up to three times the square footage of veneer as compared to conventional slicing methods.